Uber’s exits from China, Russia and Southeast Asia were billed as failures from the company, but the ride-sharing giant has already made billions on paper from those moves, according to its IPO filing. Uber released its much-anticipated S1 on Thursday U.S. time and reporters and analysts are frantically digging into a treasure trove of previously-unreleased details. 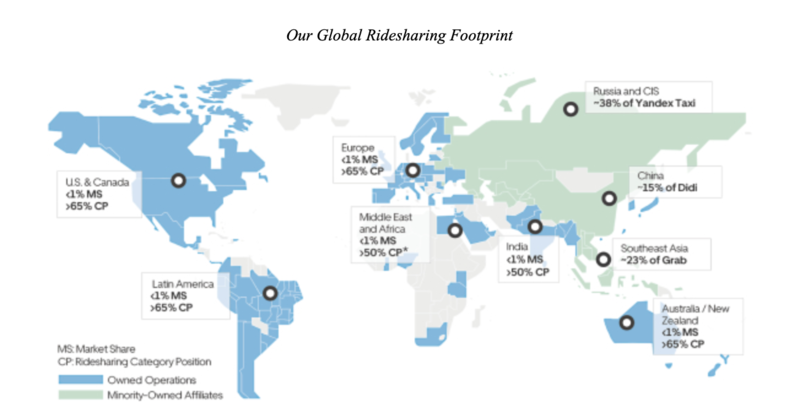 A number of sections on Uber’s global divestitures begin to paint a clear picture of the strategy that Uber employed when leaving China, Russia and Southeast Asia in recent years. In each case, Uber decided to leave the market but, upon doing so, take a stake in its rival business in exchange for the assets it had remaining. That not only keeps them involved, but it removes the often substantial cost of competing with a single-market player and gives Uber options to re-enter the market or profit from its partner’s success there. Already that strategy is bearing fruit. Today, those holdings are collectively worth a cool $12.5 billion on paper, with a least $3 billion in gains so far. China was Uber’s first tactical exit and it saw the company sell to local giant Didi Chuxing in August 2016. The Uber filing shows the U.S. firm took an 18.8 percent take in Didi. That, Uber estimates, has since been reduced to around 15.4 percent due to subsequent fundraising from Didi, which last publicly announced a $5.5 billion raise one year ago — previously, it raised $4 billion at the end of 2017. The really interesting part of the filing its Uber’s estimate for the value of its Didi stake: that was $5.97 billion as of the end of 2017, and $7.95 billion at the end of last year. That’s a $2 billion paper increase in just one year, although the Uber filing doesn’t provide a value for the initial merger deal. Didi is also in the money having invested $1 billion into Uber in exchange for shares. One notable piece is that an investigation into whether the deal constitutes a monopoly is still ongoing, some two and a half years after the transaction was first announced. “It is not clear how or when that proceeding will be resolved,” Uber notes in its document. Finally, the original deal included a clause forbidding Didi from making “certain investments outside of Asia” for a six-year period. The company breached that — it acquired Uber rival 99 in Brazil and expanded its business into Mexico, among other moves — which saw Uber take back some shares, although its net gain was only $152 million. Didi has struggled over the last 18 months so safety concerns bubbled to the fore following the murder of two female passengers last year. Operationally, too, there have been challenges. 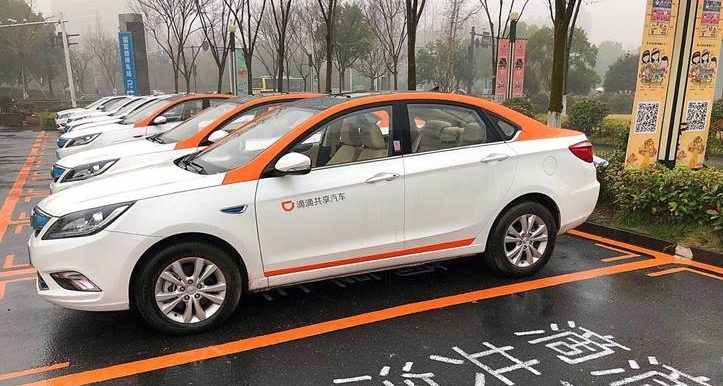 Didi reportedly lost $1.6 billion last year — that’s more than Uber — and it reshuffled the organization by laying off 15 percent of its staff recently. Despite buying out Uber, it is up against increased competition after a consortium of automakers inked a $1.45 billion ride-hailing joint-venture while new government rules have made the business of ride-hailing, and in particular recruiting drivers, more challenging in China. Still, as China’s dominant firm and with an increasingly global presence, you’d imagine that Uber’s stake is likely to become more lucrative in the future. Uber’s exit from Southeast Asia in March 2018 never seemed a copy of its China play, where it was burning a reported $1 billion a year. Instead, I argued that the deal was actually a win for the U.S. firm because it took a decent slice of Grab as part of the agreement and Uber’s filings show that is already proving to be the case. Grab’s most recent valuation was $14 billion, according to sources, which means Uber’s stake is already worth $3.22 billion, a nearly $1 billion jump on paper in just a year. With the company in a dogfight with Go-Jek, its Indonesia rival that’s backed by the likes of Google and Tencent, it seems unlikely that Grab and key shareholder SoftBank will do anything other than keep on raising. That’ll likely dilute Uber — which, as a shareholder rather than an investor, isn’t likely to invest again — but it’ll increase Grab’s valuation and thus the value of Uber’s stake. That leads us to the next detail of Uber’s Grab investment: its stake is classified as “available-for-sale debt security.” That’s to say that Uber could potentially dispose of its stake in the future. Indeed, the Uber filing notes a clause in the deal that would allow the U.S. firm to sell “all or a portion of its investment back to Grab for cash” if the company hasn’t gone public by March 25 2023, five years after the deal. That’s the first real line in the sand that we’ve seen for a Grab IPO and, with a buyback already expensive as Uber’s stake is worth more than $3 billion, the clock is ticking. Finally, Uber’s third tactical retreat is Russia, where it formed a joint venture with local rival Yandex.taxi in July 2017. The combined business covers ride-hailing and food delivery in over 127 cities in Russia. That gives it a different kind of relationship to its deals with Didi and Grab, where it one of many minority shareholders, and Uber’s S1 gives fewer details of the Russia JV. What we do know is that Uber estimates its share of the business is 38 percent, a slice that it says is worth $1.4 billion. That’s a valuation of around $3.68 billion which is on par with the $3.7 billion that the companies announced at the time of the deal. 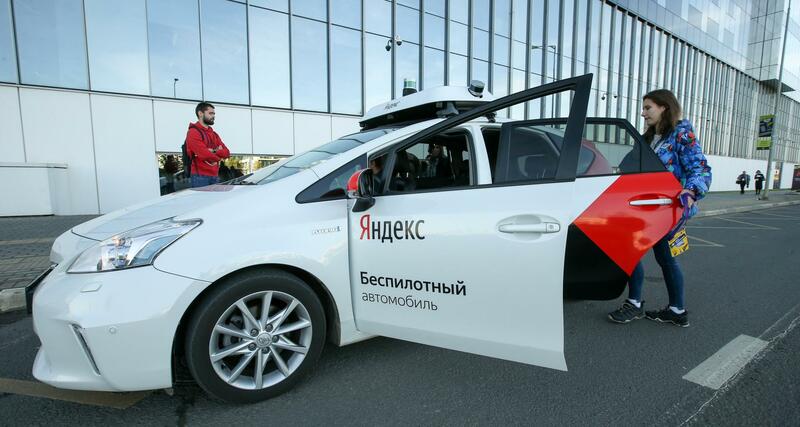 Like the other deals, the business is the dominant one in a huge market — Russia has a population of more than 140 million people — so it stands to reason that the business will grow and thus Uber’s value within it will increase. Yandex, the parent of Yandex.taxi, also stands to gain and not just from the joint venture. Uber allocated the company two million shares (then worth $54 million) which, at a proposed $55 per share, would more than double to $110 million at IPO and that’s not counting its potential value in the future. Uber CEO Dara Khosrowshahi said that Southeast Asia would be the company’s last global retreat, and he seems to have been good to his word so far. Indeed, Uber announced its largest acquisition last month with a planned $3 billion purchase of Middle East-based rival Careem, which is present in 15 markets. The Uber filing explains that the deal, which has not been completed, is $3.1 billion with around $1.4 billion in cash. “We have structured the acquisition and proposed integration of Careem with the goal of preserving the strengths of both companies, including opportunities to create operating efficiencies across both platforms. We expect to share consumer demand and driver supply across both platforms, thereby increasing network density and reducing wait times for consumers and drivers in the region, while simultaneously achieving synergies from combining back-end support functions and shared technology infrastructure,” Uber wrote in a statement. That’s certainly a new approach for Uber worldwide and, post IPO, it’ll be interesting to watch it actively play a role in consolidating other businesses into its own rather than going the other way. Still, those three global retreats are likely to pay off handsomely despite being billed as the result of failure.